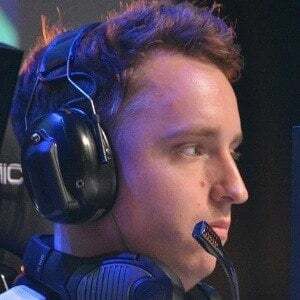 Otherwise known by his alias GeT_RiGhT, he is a professional Counter Strike player and is a member of the team Ninjas in Pyjamas. He was rated as the best player of 2014 by HLTV.org. He began his professional gaming career in 2007 with Begrip before switching to SK Gaming and then Fnatic. He has been considered one of the greatest Counter-Strike players of all time in both versions of the game. He played alongside fellow Swedish Counter Strike player Patrik Lindberg in his years with Fnatic.